Hello folks! 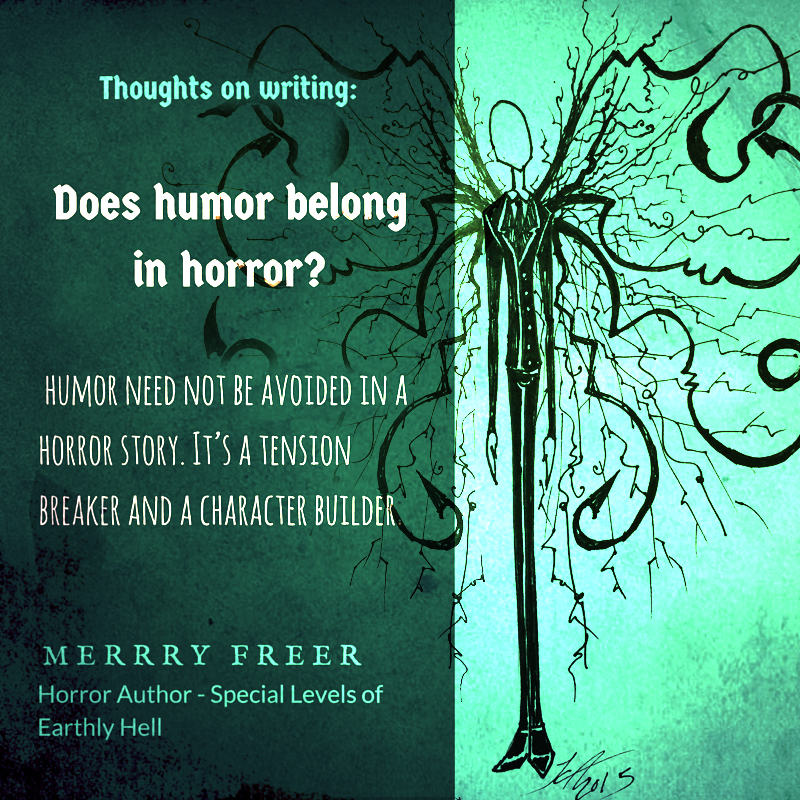 meet Merry Freer, horror author and guest poster for today, and she’s bringing you some thoughts on how horror and humor are better buddies than we may think. As usual (for book tour days) This post is out in the bright sparkly world of *now* and my review of Merry’s book will come out later today (namely at the crack of noon). Hi there! 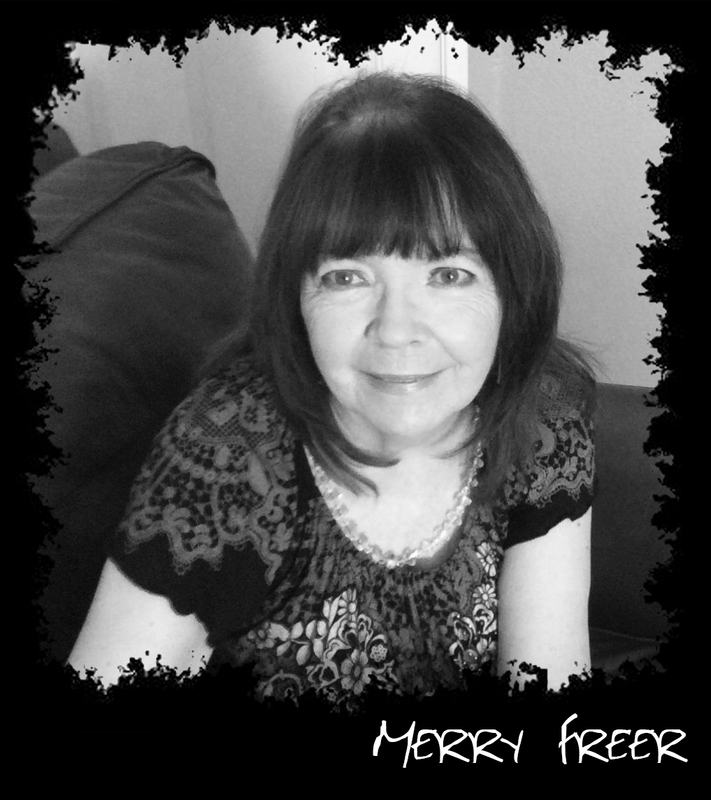 My name is Merry Freer and I am the author of (Subtitled: “An Atheist’s Experience with Demonic Possession”). Horror is supposed to be scary, right? But does that mean it can’t be injected with a little humor here and there? Humor breaks the tension and it helps to build characters. A horror novel, or even a novel in the genres of paranormal and occult are a little more balanced and enjoyable when levity is utilized. I don’t write about vampires, werewolves, witches or other paranormal creatures, though I imagine such a creature could be drawn by the writer as more likeable by giving it a sense of humor. My creature is a demon, “The Beast,” and there is nothing funny about him. The humor in “Special Levels of Earthly Hell” is created by the earth-bound characters. How does any author bring humor into a horror story? My characters are based on real people. Their personalities are varied and, as in real life, humor is one way to differentiate one character from another. It’s not roll on the floor humor, but it provides a moment of amusement when dealing with a somber subject. Again, the humor is subtle. It helps to define Sweetie’s character as one you can count on for a smile – in her phraseology, her reactions to events, and her naivety. The takeaway here is that humor need not be avoided in a horror story. It’s a tension breaker and a character builder. Take advantage of its usefulness to your story. Thanks so much for visiting Merry! What is your favorite horror story or movie that blends humor into it? I’ve been thinking about this a lot lately, and have a few thoughts of my own (Demons, Dolls and Milkshakes for one) and I’m putting together a couple posts on the subject. 10 of the funniest Horror Movies and 10 of the milk-out-your-nose-hilarious horror books. Thank you so much for hosting my guest blog. Because “Special levels of Earthly Hell” is inspired be acrual events…events that occurred in my own family….I guess I am more aware of the balance between the levity in real life and how it can provide at least some relief when a series of horrific events befalls us. Thanks for reading. Wow, this happened to your family?! I don’t think I’d be strong enough to handle it. How has everyone been recovering? Jeanette…Drew has moved on, has a new sweetheart and has primary custody of his daughter. He recognizes the need of a young girl (12 now) to have a mother and have a connection with her half-brother and sister but keeps a careful eye on their visits. “Thalia” is beautiful, smart, and extremely well adjusted considering what she has been through. I give Drew credit for that. 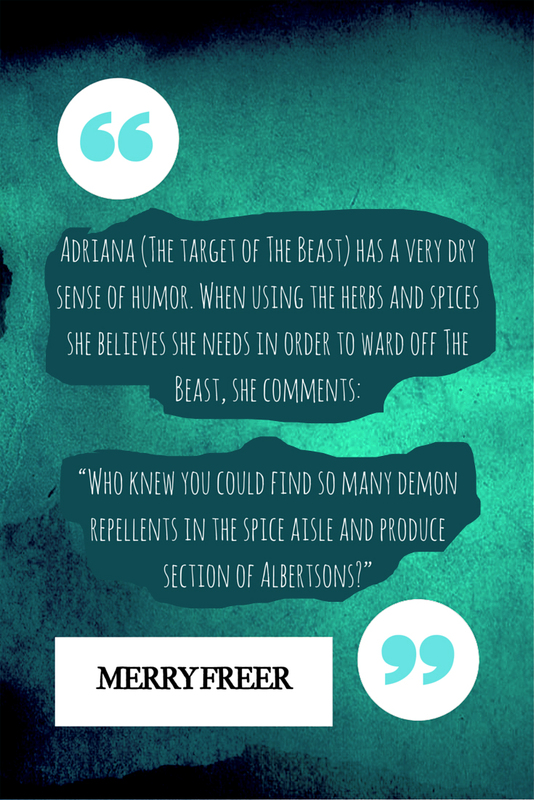 Adriana has never fully recovered from the experience. She is bitter and angry, as though the demon left its imprint.Maria Rosa is alone with her baby. She will never be the same after the murders of her boys. I don’t know what Patricia is up to but do know the father of her third baby tried to get custody and failed. She is only able to see her first two girls on a limited basis. Their father has custody. Who knows what the future holds. Thank you for letting me know Merry. I’m glad to hear that, in some ways at least, some healing has happened. I know I said it already, but thank you. This story deeply touched me, thank you so much for sharing it. You’re very welcome 🙂 I love horror with humor, personally. The light in the dark makes it that much easier to see what’s worth fighting for.